I'll put my hand up and admit that this scent really caught me off guard! 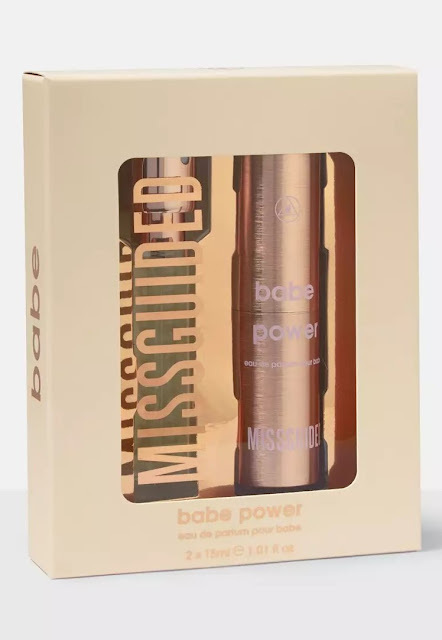 When I first heard about the Babe Power fragrance from Missguided, I didn't really give it too much thought. I just assumed the scent would be a little too 'young' for me and I've actually never tried any high street type clothing retailer's own branded fragrances before. However, at first sniff I was impressed. Fragrance is sooo subjective and so personal - one person's trash is another's treasure etc - and I'm happy to say that personally I find Babe Power to be a fun, pretty and deceptively sophisticated scent. I say deceptive because at first it comes across as very sweet and for a split second I thought it could only be for those who like their fragrances really sugary. But in that same moment it becomes something altogether more grown-up and oddly... comforting. 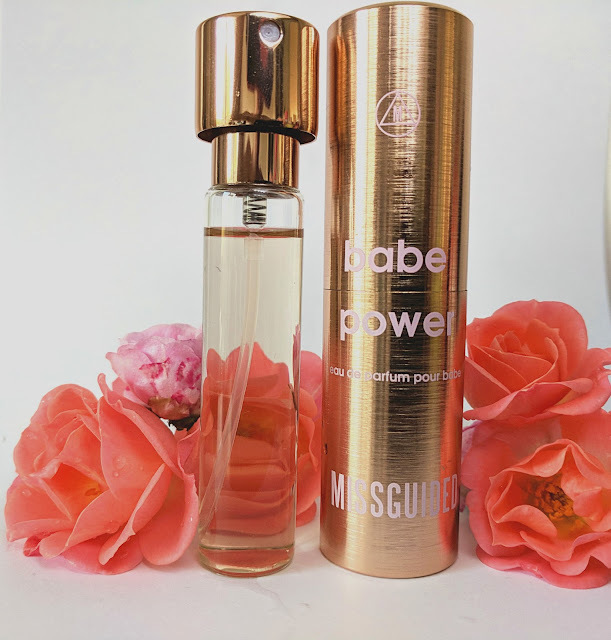 I'm certainly no fragrance expert by any means but I know what I'm drawn to- often gourmand-esque scents- and to me, Babe Power rivals some of the classic (and expensive) sweeter perfumes. It's little wonder really that it's been such a popular fragrance this year. Gourmand Vanilla, Musk, Amber Crystals, Citrus Fusion, Moss, Heliotrope, Orange Blossom, Peony, Jasmine, Grapefruit Zest, Sour Cherry, Pink Pepper, Crisp Apple, Pineapple, Rhubarb and Absinthe. The set I have here features a mini 15ml twist-up version of the cylindrical, rose gold 'can' design and a 15ml refill. Pretty perfect for travel/ stashing in your handbag or coat pocket and really perfect for gifting. You can find the Babe Power Atomizer Set at Missguided.